Delion.io – Create new business models using Delion API for sending IOTA via email for e.g. If you are a merchant / shopowner and want to offer IOTA payment you find the solution right here. There are different payment solutions available for businesses that want to accept IOTA payments. Most of them are very easy to implement in existing systems. IOTA payment gateways are available for most of the best known shopping systems. Offering your customers to pay with IOTA is a win-win situation for every participant. The merchant saves a lot of fees and the payments are almost instant. The customer saves money because there are no transaction fees, too. Merchandise and other things like art and hardware will be even more attractive if the customer can pay with his favorite cryptocurrency. Also the Tangle gets strengthened by every transaction which makes the Tangle even faster and more secure. 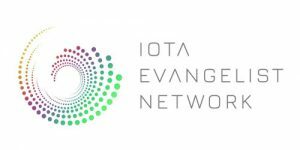 Accepting IOTA payments is a great way to participate in this groundbreaking new technology. Be part of the revolution and be one of the first shops that offers your customers to pay with IOTA.